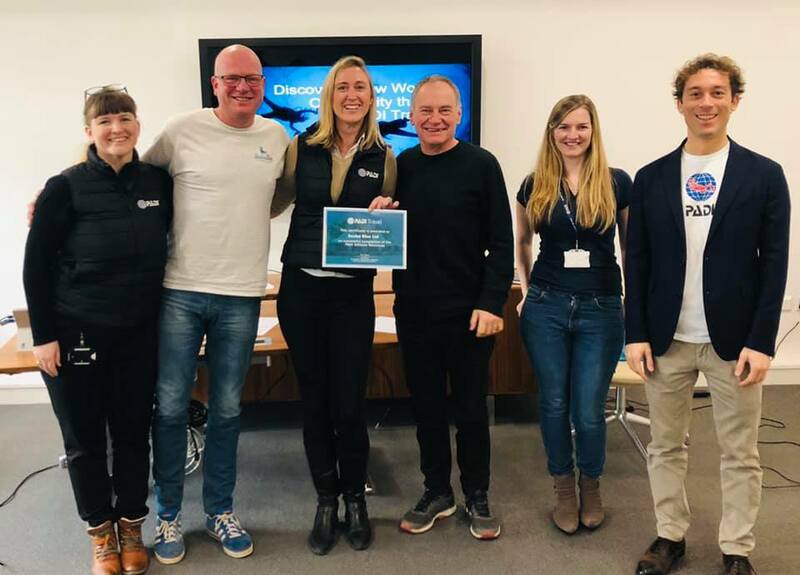 Midge and Brian today represented Scuba Blue at a PADI Affiliate Travel workshop at PADI's European headquarters, located conveniently for us, in Bristol. The workshop introduced to us the new PADI Travel arm of the PADI world. This is a really exciting venture as it is now one of the world's biggest dive travel agencies. They offer trips, resorts and liveaboard adventures across the globe and with the sort of prices that can't be beaten. Watch out for further news from us as we become a PADI Travel affiliate. Will will then be able to offer you an easy way to get everything from advice to actually booking your next dive adventure.